A recent article by journalist Barbara Kay in the National Post on shared parenting and ”Fair Play for Divorced Dads” also mentions For the Sake of the Children. More from the National Post on the issue of parental alienation in this article by Ryan Glass on Fixing Canada’s Divorce Act. 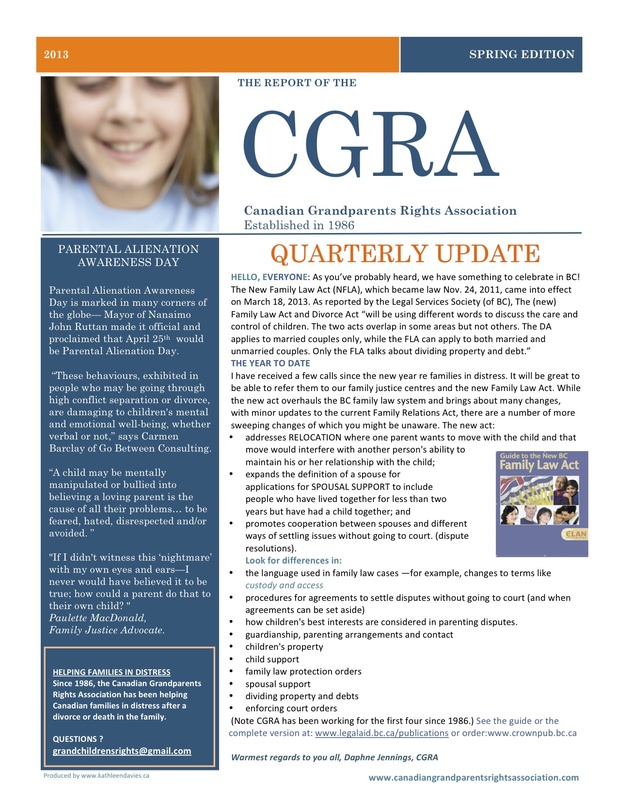 Ryan Glass is on the board of the Canadian Equal Parenting Council. Nanaimo Men’s Resource Centre—If you don’t know of this very worthwhile organization, please check out their website. The Nanaimo Men’s Resource Centre (NMRC) has proven to be a very strong advocate for families. The Parent Support Services Society of BC serves a very large family of parents, grandparents, and children. 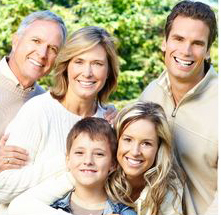 Grandparents Raising Grandchildren is a wonderful and active group with this organization and grows larger every year. Sharon MacKenzie, the Executive Director, and Volunteer Coordinator Kay Holt of i2i Intergenerational Society visited Istanbul, Turkey, to participate in the Turyak International Federation on Aging Global Conference, where the Meadows School Project was short-listed in an international competition of existing innovative projects that build interngenerational solidarity. Congratulations! To celebrate Intergenerational Day (June 1), people are asked to say hello or extend a kindness to someone of a different generation, and to be sure to keep building bridges all year round. Since 2008, i2i has been reminding people of the power and welcome benefits of inter-generational connecting. For information or to sign up for the ‘Good News’ Newsletter. Also download the Creating Caring Communities Toolkit—a guide to establishing intergenerational programs for schools, care facilities, and community groups.